I found this online a while ago, although it’s taken about half a year to pick it up, but here we are. 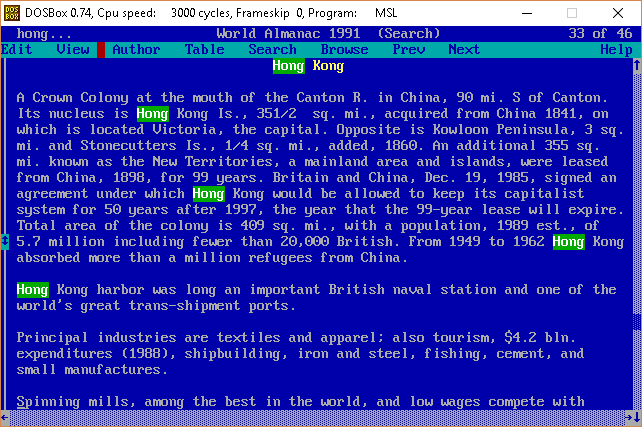 What is kind of cool about this, is that being from 1991 this is not for Windows, that this reference library instead targets MS-DOS using the MSL/Microsoft Library from the Programmer’s Library. So the same advantage holds true, that the content can be scraped from the text mode video RAM. So yeah, back in the day this was some really amazing stuff, the ability to search a few books in some incredibly fast and convenient, although as always lacking super depth. Back then online services were crazy expensive, charging by the minute, and of course just like the stock MS-DOS client preventing you from being able to easily copy the text. Outside of anything beyond gradeschool I couldn’t imagine the ‘encyclopedia’ being of all that much worth but the dictionary/thesaurus & quotations is okay enough, although in 2018 it really is showing it’s age. Having your own private reference back then was a big deal, something like this would have been more apt in a library, but you’d have to wait in line, no doubt as the ability to look up stuff just by typing would have been great. While using this online would have cost quite a bit quickly justifying the cost of a CD-ROM drive along with the program. The common carrier and lower costs of delivering content over the internet has really made something like this an oddity of time, but for anyone that needs to work 100% offline, these are a real gem. Another great use of extracting the books from the CD-ROM, is that you can take, say the “American Heritage Dictionary“, a 30MB file, and compress it with 7zip, yielding a file just under 4MB, or an 87%, or a 7.76:1 compression ratio. So unlike other ‘dictionary’ test compression sets, this is using an actual dictionary. 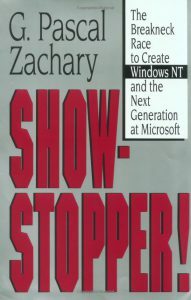 I was browsing around at a book store, and I came across the book “SHOWSTOPPER” the breakneck race to create Windows NT and the next generation at Microsoft. If you have ever lived through the Windows NT 3.x days you’ll find this a very interesting read. It goes into the big personalities, and of course covers the working habits of Dave Cutler… Although it does paint him in some really odd colors, mostly as an antisocial kind of dictator pushing people to produce the largest program Microsoft had ever produced at the time. But there is no doubt, Cutler could not have written Windows NT at Digital, as DEC was too fond of hardware lockins (look at VMS & Ultrix/True64). And it does cover the major animosity of Cutler towards DEC with the cancellation of the Prisim/Mica projects, and then the later “I told you so” moment when DEC licensed Windows NT from Microsoft (although other reports claim that DEC threatened MS with a lawsuit, and MS gave them access to NT, along with some money…). Apparently the mantra was “Dec could have had NT for free”.. There is also coverage of the culture clash of what happened when Microsoft had absorbed the Prisim & Mica engineering teams from DEC, and how they did not get along with Microsoft staff, and even did their best to poke holes in the current offerings of MS-DOS & OS/2 as either a toy, or a joke. One thing I found interesting, is that the book mentions the WLO project, as the foundation for what would be the ‘Win32’ system. WLO if you remember was a port of the Windows Libraries to OS/2. It was very interesting in that Windows, OS/2 and even MS-DOS & Win16 via WOW were all not part of the main Windows NT group, but rather ‘tacked on’. However it is quite interesting that the design decisions made for a very portable and modular operating system, that survived it’s original CPU & platform being changed 1/4th the way through development, and then the removal of the primary API. Another thing that was interesting was some of the ‘fixes’ for the too slow, too big that would plague the early versions of NT, was the idea of demand paging portions of the kernel.. I for one would go insane with the blue screens about paging non page-able areas or some other VM error… But the truth was NT was written by people who came from a minicomputer world, and as the book made evident from time to time, they did NOT use PC’s. Needless to say, the book was somewhat spot on, in that it’d take 10+ years for computers to catch up to what Windows NT was written for. I for one can remember trying to run this on a 386sx-16 and it was horrible… But if you install it on a Pentium II the 3.x series simply FLIES… And in emulation on modern machines it has incredible performance. While Windows NT 3.1 was no doubt a 1.0 release, 3.5 was a 2.0. The x86 optimizations really payed off, and kicking out the Spider TCP/IP stack, and bringing in the new MS stack helped a LOT. There is no doubt back in 1994 as SLIP & PPP accounts were becoming more common place, Windows NT 3.5’s networking was the easiest to configure and use. Linux back then really was in it’s infancy, and the dialup scripts for pap/chap/pppd were… a nightmare. “Dogfooding” was another interesting, and necessary thing as once NT was able to start running programs it was important to make people start using it as quickly as possible to shake out bugs in the system. Its also interesting to note the reluctance of the kernel team to deal with the graphical part of NT, and how the first versions were text only. Another weird part was how the security in Windows NT was an after effect, of the internal networking group cooking up what eventually became the domain & trust model. Not to mention how NTFS almost didn’t make it because the filesystem people (all two of them!)  were so busy making sure HPFS worked correctly. There is no doubt that such a ‘ground up’ OS of this magnitude hasn’t been attempted since 1988. It took Microsoft 5 years to get Windows NT out the door, but there is no doubt looking around in the year 2010, Windows NT has a long life ahead of it. For those interested, you can find it on amazon. Author neozeedPosted on March 4, 2010 December 29, 2017 Categories book review, microsoft, microsoft windows, OS/2, Win32, Windows NT 3.15 Comments on SHOWSTOPPER!